Patricia Rae Stowell was born September 20, 1925 in Joplin, Missouri to Albion and Mildred Alderman. 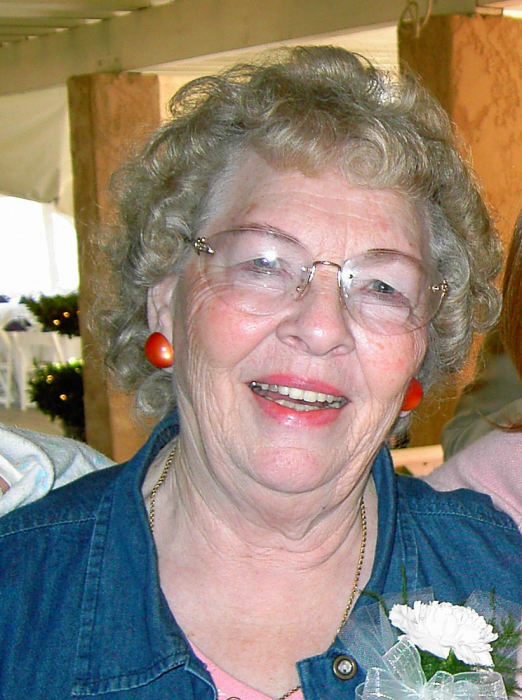 She passed away peacefully in her home in Bountiful, surrounded by family on April 6. She and her husband E. Devont Stowell were sealed in the Salt Lake Temple June 26, 1944. Patricia always wanted a large family, and was thrilled to welcome eleven children. Patricia is survived by: Jeana Stanard (Jim dec.), Keith Stowell (Karen), Valerie Maddox (Gary dec.), Claudia Greear (Mike dec.), Brad Stowell (Hy Ludmer), Darlene Futch (John), Vicki Checketts and Blaine Stowell. She is also survived by 39 grandchildren, 85 great-grandchildren and 8 great-great-grandchildren. She was preceded in death by her husband Devont, children Janet, David and Greg, grandson Ryan, great-great-grandson Devont Beckstrand, and three sons-in-law. Patricia was an active member of the Church of Jesus Christ of Latter Day Saints. Through her life she had many callings and served several missions with her husband. She served in the Bountiful temple for many years. She was active in the Red Hat Society and several book clubs. She was always reading. A viewing will be Friday, April 12 at Russon Mortuary (295 N. Main, Bountiful Utah 84010) from 6 - 8 p.m. The funeral is Saturday April 13th at 1:00 pm, at the LDS 43rd Ward Building (990 N. 100 W., Bountiful Utah 84010), with a viewing from 11:45am - 12:30pm. Interment will follow at Bountiful Cemetery.